Download the Git for Windows installer and install it as usual. You can refer the git documentation for more details. Use Git Bash console installed with Git for Windows instead of cmd. From the graphical tool pgAdmin4 installed with PostgreSQL, create a new database named axelor. Now prepare an application config file (using Git Bash). First stop the tomcat server. Where <user> should be the user name. In short, full path to application.properties file which we prepared previously. 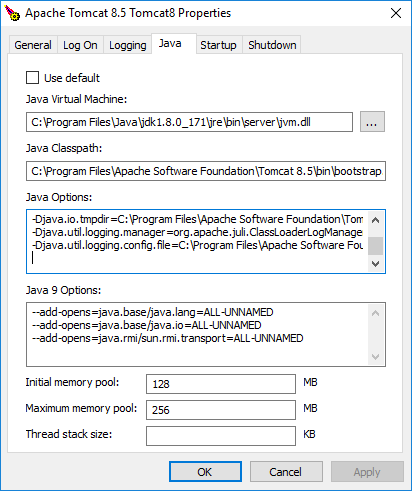 Now copy the war package from build/libs to C:\Program Files\Apache Software Foundation\Tomcat 8.5\webapps as ROOT.war and start the tomcat server again.